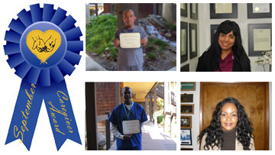 We strive to promote excellence in Home Care Service. Our Professional Caregivers, Companions, Certified Nurse Aides, Certified Home Health Aides and Medical Assistants are trained and experienced in providing assistance to those rehabilitating or recuperative care from surgery or an illness. We provide peace of mind! Whether you need a Caregiver at home, a Hospital Sitter or a Nursing Home Sitter, A-1 Domestic is the right service to call for all of your In-Home care needs. The possibility of having an accident happen within your family is not something you can plan for but A-1 Domestic Professional Services, A-1 Home Care Agency & A-1 Caregiver Agency is here to help. 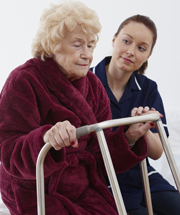 We can provide any type of care professional you may need. Anyone from a Certified Nurse Aide to a Mother's Helper can be arranged for same or next day service. 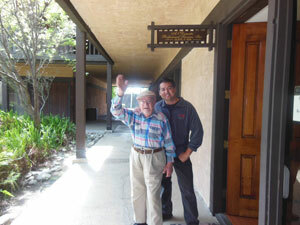 A-1 Domestic Professional Services, A-1 Home Care Agency & A-1 Caregiver Agency can help! 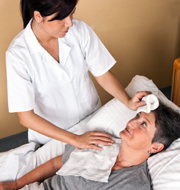 We have the right Private Duty Nurse for your personal needs. All our Child Care Providers have Adult, Child and Infant CPR and First Aid Training. If you need someone to provide Companion Care in a hospital or nursing home, A-1 Domestic Professional Services, A-1 Home Care Agency & A-1 Caregiver Agency can help. Our Caregivers can provide one-on-one companion care while you're at work, helping to alleviate the anxiety and fear your loved one may feel when they are admitted into a facility. If you are concerned about the daily needs for yourself or your family while you are recuperating from a scheduled cosmetic surgery procedure, A-1 Domestic Professional Services & A-1 Home Care Agency can give you peace of mind. 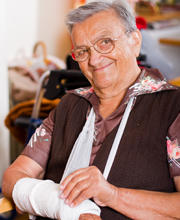 We can offer Short-Term Home Care during your convalescence to assure a complete and successful recovery. A-1 Domestic Professional Services, A-1 Home Care Agency & A-1 Caregiver Agency can provide a professional child care provider for a child in your family scheduled to go through surgery. We have skilled Nannies, Mother's Helpers, Babysitters and Au pairs with Early Childhood Education Training and experience helping children with physically and emotionally difficult situations.